Since this sketch ended up being waaaaay bigger than life, I drew another bug to scale. 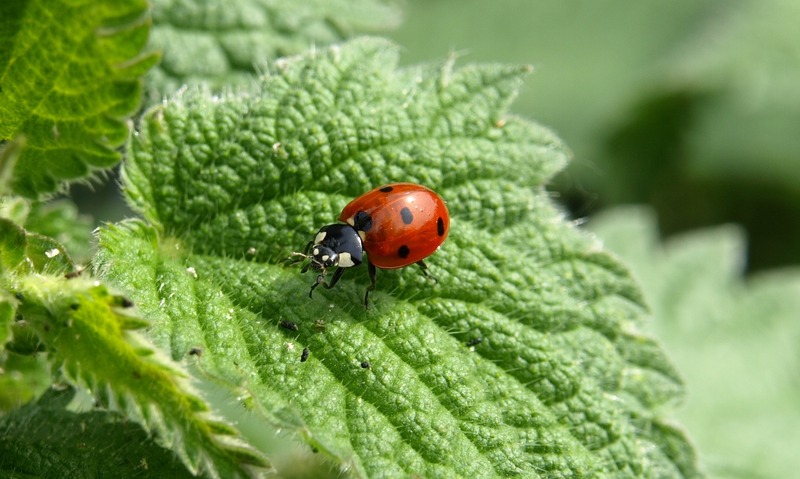 It’s a Seven Spot Ladybird (Coccinella septempunctata) which is about 10mm long in real life. That sounds too small, but I imagined picking up the reference bug on my finger, and it would have been the size I’d expect a ladybug to be. 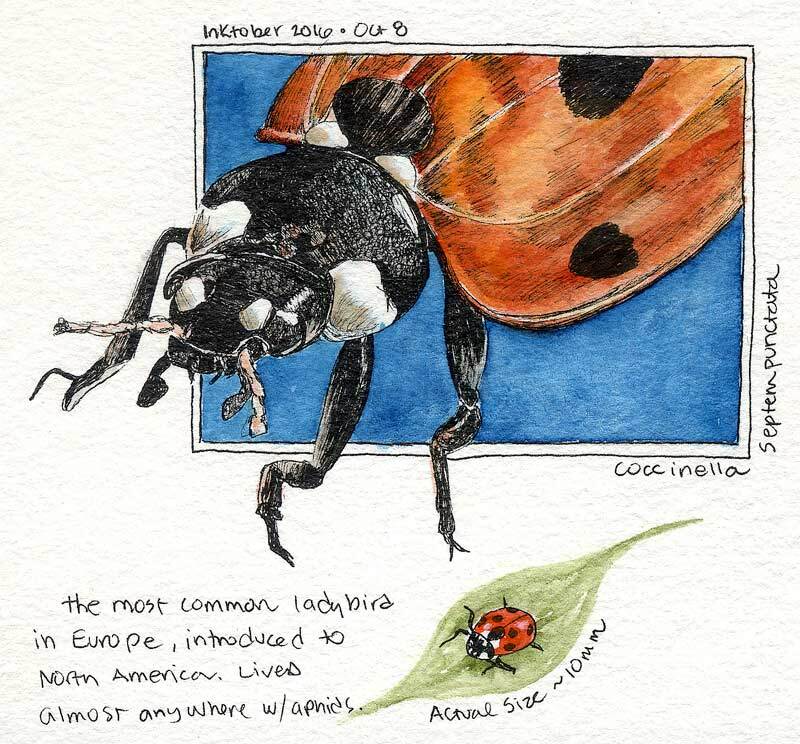 These are the most common ladybugs in Europe and widely introduced to the US, to the point that they are competing with native ladybugs in some areas. It looks like the pattern of black and white spots just behind the head is particular to this species, so I’m going to check next time I see one. Once I draw something, I rarely forget it. How fun to get an education in bugs while completing a drawing challenge! I had colored this with Transparent Orange, PO71, and it didn’t look quite right. Someone else commented that it looked good but didn’t really say “ladybug”. I assumed it was the close-up scale and let it go, then looked it over again this morning. PO71 is a lovely earthy orange, but kind of dull… so I went over it again with a wash of PO62. It’s more of a classical ladybug color now, and I think it helped! Reference image can be found here.